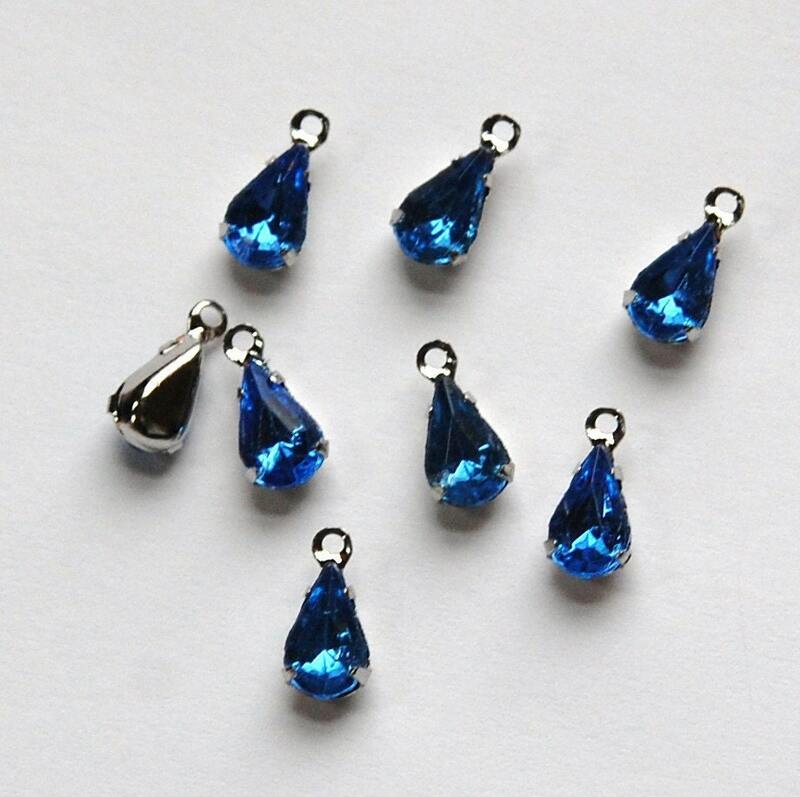 These are vintage sapphire blue glass stones set in a one loop silver setting. The stones measure 8mm x 4mm. You will receive 8 pieces. I have these listed in other colors and setting finishes. Love these beauties and they will add much to my sculpture.